Commerce BOD interface is a powerful tool if you know how to use it. Using wcf:getData tag is an easy way to exploit the power of BOD. we are using it to get the attribute’s list for a product. But wcf:getdata tag can do a lot more. Suppose I want to put in a variable in my JSP all the products that are beyond a specific category using wcf:getdata. 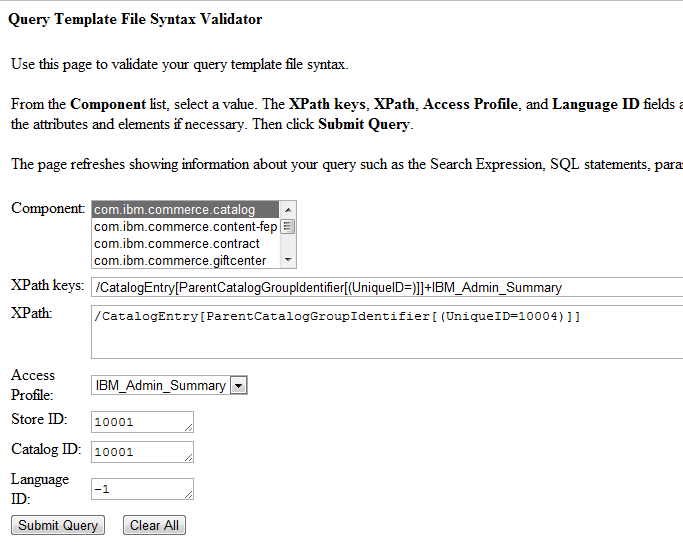 First of all I have to look for in WC Infocenter if IBM already implemented this query for me. The table on Noun CatalogEntry help us to find the values I have to put on wcf:getdata attributes to get such a resultset. In the table I find what I was looking for: “Get child catalog entries of a catalog group”. As access profile I choose “IBM_Admin_Summary” (at the bottom of the table). Now compose the corrispondent wcf:getdata tag is very easy. you’ll see the 4 products included on “Lounge Chairs” category and the queries executed by BOD under the covers. Unfortunately the default dsl.jsp is only an example and it needs a little customization to add the catalogId parameter. You can find the working version on my Box.net space. Enjoy. This seems about straight forward as coding with IBM can be. I’m trying to get an attribute based on the identifier field. Here is what I am trying but it does not return anything. Can you point me in the right direction, please? Also if I try the OOTB dsl.jsp or yours no matter what I enter I always get NullPointerException. Bummer, it doesn’t look like it took my code snippets. How do I post code? Hi Jon, you can send me an email and I’ll change dsl.jsp code. Could you please provide me with your email address? I had the same problem with dsl.jsp throwing NullPointer. You need to set the componentid on SelectionCriteria.